For two days last week, game creators from around the world visited the picturesque city of St Petersburg in Russia for the 4C conference. This is the second year that the event, backed by Wargaming.net and WGDF, has taken place. It attracted around 1,000 delegates. 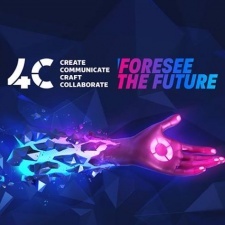 4C, of course, sounds like 'foresee' - and that was the theme of the event as there was plenty of future-gazing taking place. In reality, it stands for 'Create, Communicate, Craft, Collaborate' and there were five auditoria, each with a full programme of hourly talks. … but that may be outside the traditional home gaming environment, for now. Cindy Mallory is chairperson of the VR AR Association in the US and also CMO of DreamSail Games, a New York studio making a game called The Iota Project. Inspired from a young age by the holodeck on Star Trek, she's enthusiastic about the rise and rise of consumer VR. But she spoke specifically about location-specific VR experiences, like VR arcades. VR is being adopted 'across verticals', like education, brand marketing, healthcare, sports training, and entertainment as well as gaming, which is why, Mallory believes, "it's not like 3D TV - which failed because it was being forced on home consumers by the TV industry." Different industries are trying VR and finding its potential, and 6.3 million headsets were shipped (mostly mobile) in 2016. But the problem for gamers is that there's still not much content; it's still expensive; and done well it still requires a room's worth of space at home. The solution? 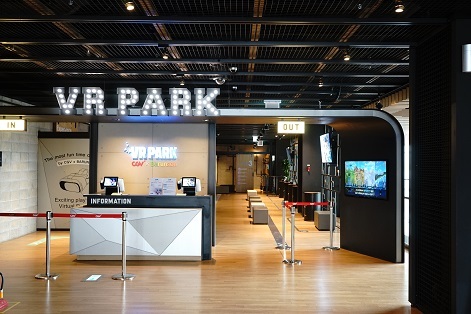 The way has been shown by the big chains of VR arcades. IMAX, for instance, unveiled its flagship games location in LA earlier this year, which Mallory says is now taking $30k per week. Multiple revenue streams are great for content developers, and that includes being in places like the IMAX VR experience. It's possible that things will change, as China releases a stand-alone Vive-type headset for under $200. "The current VR arcade model will only be true for two to five years until more people have the gear at home," proposes Mallory. How arcades remain relevant at that point is to have the best peripherals and equipment, and to be a great social experience in themselves. Agreeing with Cindy Mallory that immersive experiences have a bright future, just not necessarily as a home games machine, was Wargaming's Alexander Bobko. He's head of global special projects at their Belarus office, and he shared with the conference his predictions about the future of tech. "We are building experiences for digital natives," he explained, sharing his personal experience about how his two-year-old son already has expectations about being able to interact with photographs. "[He] saw a picture from my past and wanted to know how he could go into the photo and meet these people – this is a way that the younger generation already think." It's critical for younger users of technology that they don't just see something, they must be able to touch it and build an experience with it. Despite being primarily a games company, with more than 200,000,00 registered users, Wargaming is committed to creating innovative heritage projects. "Being passionate about history is part of Wargaming's DNA," said Bobko, revealing how he's working with Google Arts & Culture, as well as institutions like the Bovington Tank Museum, to explore new ways to reach people with technology. We've written about this AR museum work before. "Gamers are more prepared to actively participate in culture activities than non-gamers," he continued. "But virtual reality is not limited just to gaming – everybody can find a way to use this technology." Downward Spiral: Prologue came out this year, tasking you with uncovering a mystery on a seemingly abandoned space station. Veli-Pekka Kokkonen, of developer 3rd Eye Studio, revealed his tricks for 'Designing immersive VR experiences without breaking the fourth wall'. To do this, they had to find ways to direct the player's movement without breaking the sense of reality. Pop-ups and guidance arrows draw attention to themselves. So how do you get players to navigate the game world without obvious pointers? Through observing how information is naturally delivered non-verbally in the everyday world. "In real life, people open their hand when they're about to grab something," explained Kokkonen. "So in the game, it's a natural way to show a player that they should grab a wall rail or a weapon. Open the visible hand when they get close to a grabbable object." He continued: "In this very hall, there's a green exit sign above the door. We use things like that. A vending machine answers the question 'How do I use this to get a Coke?' very clearly with symbols. Street signs, IKEA construction brochures that use pictures not words… we use these things as inspiration." The game Downward Spiral: Prologue does not use an inventory system, partly because you can't carry much in a space suit, but also because there's no such thing in reality. And they eschew in-game achievements and trophies. "No pop-ups that claim 'Congratulations; you did a game thing'!" he laughs. Veli-Pekka Kokkonen also spoke at XR Connects Helsinki this year, and we've interviewed one of his colleagues about VR storytelling before. One of our last lectures of the 4C conference was the most surprising. Denis Dybsky of Teslasuit, from Belarus, took to the stage to talk about 'The future of gaming', wearing his black haptic jacket. Concurring with Cindy Mallory and Alexander Bobko that the future includes AR and VR, he talked about what is possible with full feedback gaming an a haptic internet. "Without any delay, we will soon be able to shake hands over the internet," he told the crowd in Russian (4C provided translation services for the international crowd). He went on to describe how his own company is fascinated by "a new level of immersion" that comes with "tactile feedback". His suit contains sensors and motion trackers, as well as temperature control, "So you'll feel comfortable in the suit for hours while you play". And in a few months, Teslasuit reckons it will have the full biometry of the human body tracked in it: cardiogram, humidity, the electrical conductivity of the skin. The fully wireless suit, "Will know where the user is in regard to space and where you are standing". Getting it on takes less than 90 seconds, apparently ("it zips up like normal clothes") and delivers 56 hours of gaming on its battery - the climate control drains it faster. What about prolonged use? "The suit can tell if you're not moving and send you a signal to say 'Get up and go for a walk'," said Dybsky. "Or even call an ambulance!" Congratulations to 4C for putting on an informative gaming and tech conference in Russia's most beautiful city. For more insight into the future of VR, AR and MR, consider getting yourself to our own conference, XR Connects, which takes place in London on 22nd and 23rd January 2018. Pitch Your Indie VR Game To Press, Publishers And Pundits!